John A. Christensen, G.G., is a Graduate Gemologist through G.I.A. (Gemological Institute of America). If you have any questions you would like to ask about Diamonds or Colored Stones, please feel free to use the contact form, and you will get a prompt response. 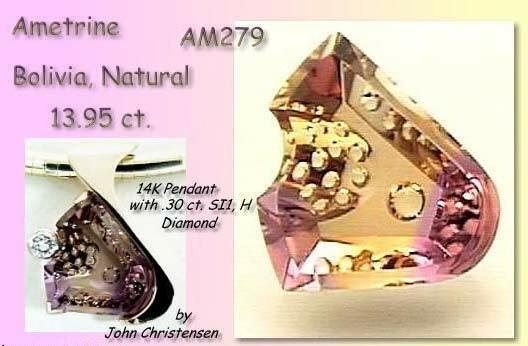 John was building and repairing fine Jewelry since 1983 in the Des Moines area. Formerly in the wholesale trade shops, doing custom work for other stores, before starting Gold Art in 1991. 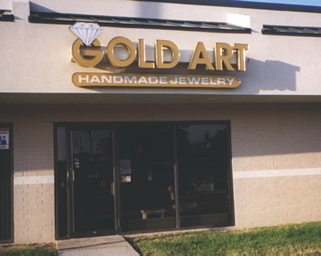 From March 1991 until January 2000, John was the owner of Gold Art Handmade Jewelry. A full service Jeweler, specializing in made-to-order pieces. All wax carving, casting, masters and mold making for multiple pieces such as service pins, all methods of stone setting, and complete fabrication of Jewelry was done there. 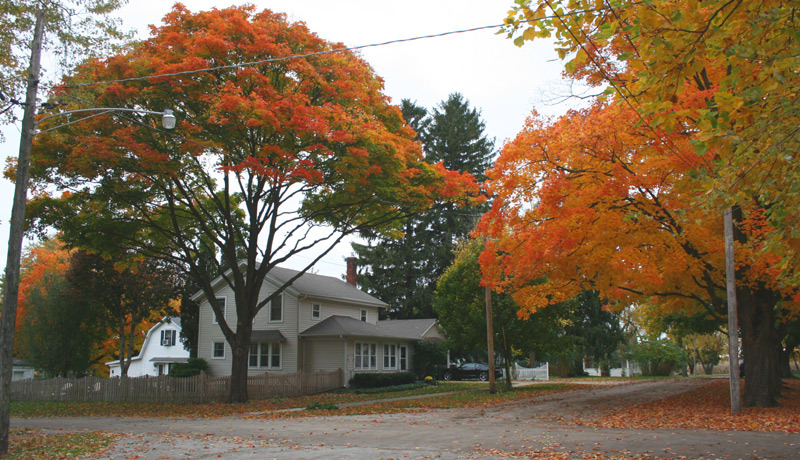 We moved the family to the Chicago area in 2000, First Settling in Saint Charls, IL, then moving to Maple Park, IL in 2013. 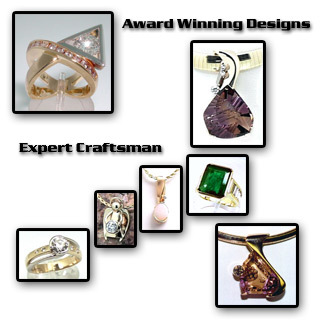 John took FIRST PLACE in the 2003 Illinois Jeweler's Association competition for an 18K and Platinum Diamond Ring (pictured at right, upper left of the graphic). 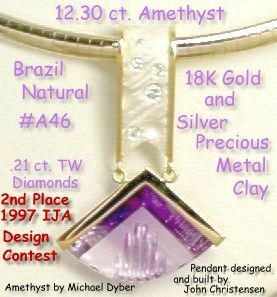 FIRST PLACE, AND BEST OF SHOW IN 1999 at the Iowa Jeweler's Association Design Competition. Michael M. Dyber carved this new "Luminaires™" Ametrine, hand crafted by John in 14K yellow gold, accented by diamonds in white gold tubing. This piece competed on a National level in January of 2000, at the Jewelers of America International Show in New York City. One of 32 regional winners nationwide. 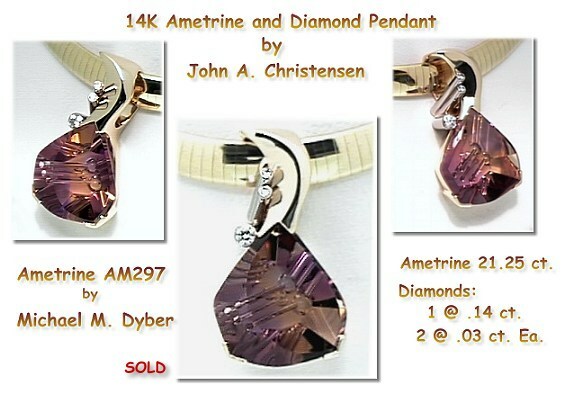 John also recieved a FIRST PLACE Award in the 1998 Iowa show for an Ametrine and Diamond pendant, and SECOND PLACE at the same competition in 1997. Web Site is a Winner! 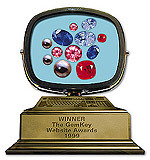 Congratulations, you have received GemKey Magazine's "Best of the Web" Award for your excellent General Colored Stone website. The award was given based on a combination of design aspects and usability. Your company's website scored high in these categories and was published in our magazine to serve as a reference guide to trade websites that are in a class of their own or a leading industry websites. We hope this award helps to not only bring an increased number of visitors to your website, but also recognizes the effort made to create a superior website. John has a certificate in Web Site Development from the Illinois Institute of Art in Schaumburg, IL. This will be a major focus in the future. John has been writing web pages since 1996. John is no longer working on web sites for hire. In July of 1999, John was diagnosed as having an an allergy to gold, after working with it for so many years. The probable cause was a gold crown installed about 3 years earlier. The contact dermititis condition affects the skin on the fingertips, from working with gold filings. Even with latex gloves, and powerful cortisone, the condition continued to worsen. Under doctor's advise, he was forced to make the move to sales, and away from bench work. This was a crushing blow, but John believes that there is a reason for everything, and life goes on! See the effects at this page. Devoted to his Family, you can visit their web site here. Are you a car nut? See the El Camino Page.